Robert Palmatier is Professor of Marketing and John C. Narver Chair of Business Administration at the Foster School at the University of Washington. He founded and serves as the research director of the University’s Center of Sales and Marketing Strategy. 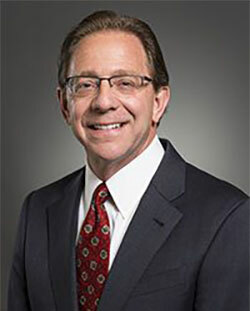 He has served as an expert witness in a number of matters, including patent infringement and contract disputes. Dr. Palmatier’s research interests focus on marketing strategy, relationship marketing, customer loyalty, marketing channels, and sales management. His research has appeared in leading journals, including the Journal of Marketing Research, Journal of Marketing (where he is Area Editor), and Journal of Academy of Marketing Science (where he is Editor-in-Chief). Prior to entering academia, Dr. Palmatier held various industry positions, including president and COO of C&K Components (global electronics company) and European general manager and sales and marketing manager at Tyco-Raychem Corporation. He earned his B.S. and M.S. in electrical engineering from Georgia Institute of Technology, as well as an MBA from Georgia State University and Ph.D. from the University of Missouri.